Staying fit requires commitment, but it’s hard to stick to your workout schedule when you have to exercise during the gym’s business hours, spend time driving there, and wait in line for equipment! 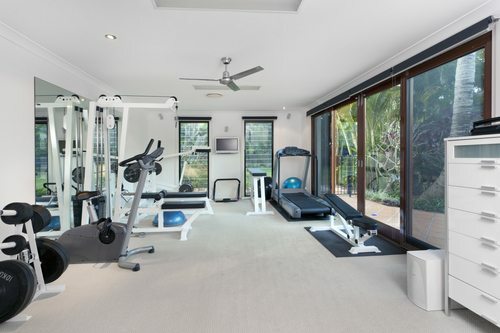 Wouldn’t it be nice if you had a gym in your own home with all the equipment to yourself? Many fitness enthusiasts find that a home gym offers greater convenience than a public gym and helps them concentrate on getting the most out of each workout. Setting up workout equipment in your home might seem intimidating, but it doesn’t have to be. If you’re not sure how to build a home gym, read on! The first task is to select the area of your home that will serve as the gym. The basement is a popular choice. Make sure that the ceiling is high enough to allow an overhead press with the full range of motion. If your basement floor is concrete, some rubber mats will reduce the noise level and prevent your floor from being damaged. The garage is also an option. However, you may have to put in some fans for hot weather and a space heater for cold weather. Of course, some people set up their home gym in a corner of the living room. This is perfectly acceptable as long as there are no concerns about the structural integrity of the floor. Just be sure to lift your weights away from lamps, glass tables, and other delicate items. Every home gym should have an accommodation for cardio. Whether you’re just warming up before your weight lifting or doing an endurance training session, cardio is a must for any fitness regimen. The treadmill is by far the most popular cardio machine. Most models feature adjustable speeds and inclines, allowing you to perform a harder workout when you’re ready. The stationary bike is another great choice; bikes typically come with a wide range of resistance settings. Finally, there is the elliptical machine. Ellipticals offer a low-impact exercise that works the whole body at once. The next step is to get a barbell set – the core of every home gym. This ubiquitous piece of equipment allows you to exercise all of your muscle groups without the need for several expensive machines taking up space in your house. When the weights are not in use, you can simply stack them in the corner! Most serious lifters use the Olympic barbell, which weighs 45 pounds by itself. If you are not yet working with 45 pounds or more on every type of lift, you can purchase one of the numerous lightweight barbells on the market. When considering how to build a home gym, remember that you can always purchase more weight plates at a later time if you find it necessary. Once you have your weights, it’s time to move on to some of the other equipment you’ll need in order to use the weights. For example, a weight bench is required for exercises like bench presses, dumbbell flies, and more. You can also sit on the bench when doing barbell curls or tricep presses. Consider buying a bench with an adjustable incline; this feature will enable you to work your pectoral muscles from different angles. Some benches even fold up for easy storage when not in use. The squat rack is another fixture that you should include when deciding how to build a home gym. Squatting is the king of powerlifts; it gives a killer workout to the muscles of the legs and torso. This allows you to advance to many other lifts thanks to the strength and stability of your core. A squat rack should have a sturdy base that will support several hundred pounds. Find a squat rack with different height settings to ensure that you can start the lift with the bar in the right position. If you have the space and the budget, you can go with the power rack – a sturdy metal frame with removable safety bars. A power rack can also be useful when doing overhead presses, tricep dips, and more. Finally, you may wish to add ou’ll also need to install a bar for pull-ups. There are many ways to go about this. If you’re the handy type, you can mount a pull-up bar on the wall by bolting it into the studs. Alternatively, you can purchase one of the doorframe pull-up bars sold by many sporting goods retailers. These bars slide into the top of the doorframe and require no modification to your wall. There are also freestanding pull-up towers, some of which include arms that fold down for tricep dips. Setting up a home gym makes it easy to adhere to your workout regimen. 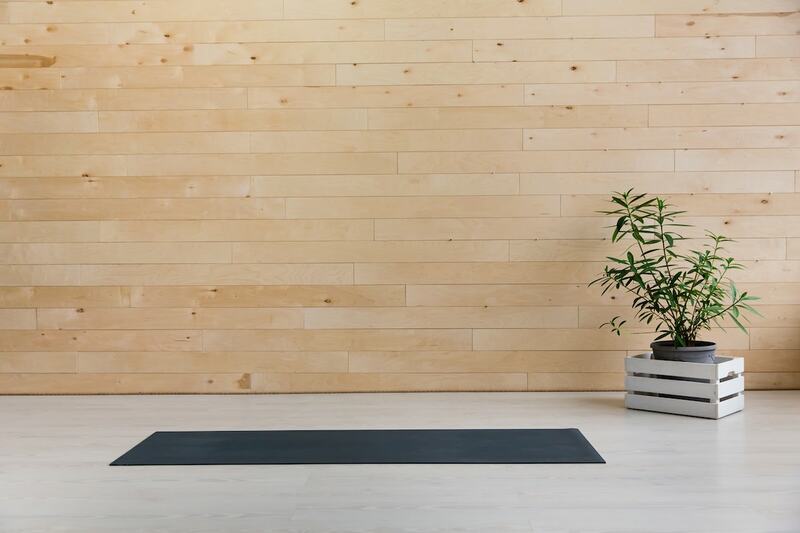 All you need is some space, the right equipment, and this simple guide for how to build a home gym. If the hassles of a public gym are wearing you out, start your home gym project today. 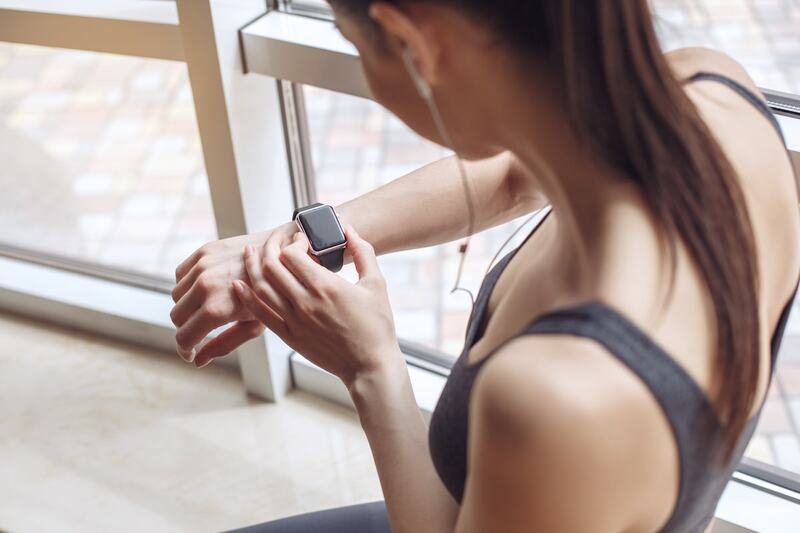 Whether you’re looking for a treadmill, an exercise bike, an elliptical machine, or strength-training equipment, Fitness Gallery is here to help. We handpick each piece of fitness equipment sold in our stores, so you know that you’re getting high-quality products at a great value. Plus, we have top-of-the-line used equipment for those on a budget. To learn more, please visit our online store, or stop by our showrooms in Denver (CO) or Highlands Ranch (CO). 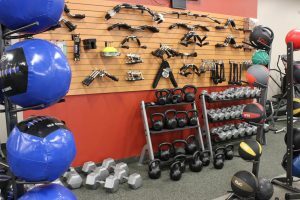 Our knowledgeable staff can help you find the perfect equipment for your fitness goals.